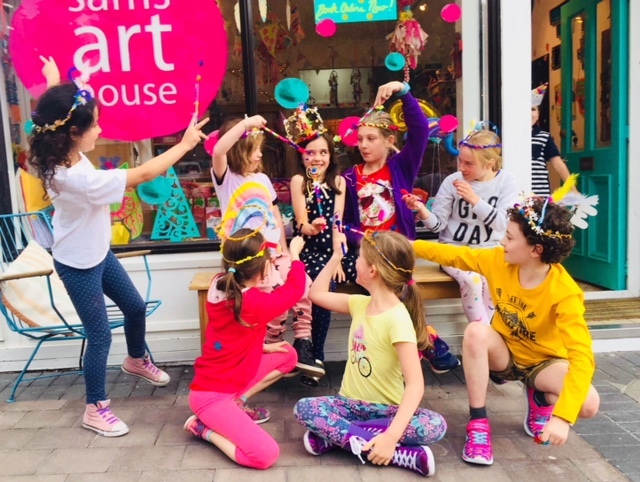 Both Sams Art House, Ngaio and Paraparaumu, are the perfect, cool, colourful, awesome places for your kids creative birthday parties. We can provide the space, creative activity, materials and atmosphere to help make that special persons birthday party rock! CLICK HERE for our party rates and craft options for 3-4 year olds. Let us know if you want to customise any of these options to suit your theme. We also offer a small range of creative party bags to make things easier, click here to order for your party.